In today’s low unemployment market, hiring and retaining medical staff is a challenging task. For healthcare systems and hospitals, the standard strategies of retaining staff by providing competitive pay and benefits are no longer enough. In such a tight labor market, employers need to get creative to retain staff and provide them with the type of career satisfaction that leads them to stay active and engaged. While performance bonuses do fall in line with pay, the benefits of performance bonuses go beyond monetary value. When hospitals offer performance bonuses to staff, not only are they providing their employees with an unexpected financial windfall, they are also showing staff they are appreciated. It is the mere act of rewarding good performance that provides beneficial returns, and when money accompanies that award, it further emphasizes this recognition. One of the other benefits of acknowledging employee contributions is that it also provides employees a goal to achieve beyond their primary job requirements. This can foster an environment of excellence. Organizations that offer training and educational opportunities demonstrate they value the careers of their staff. 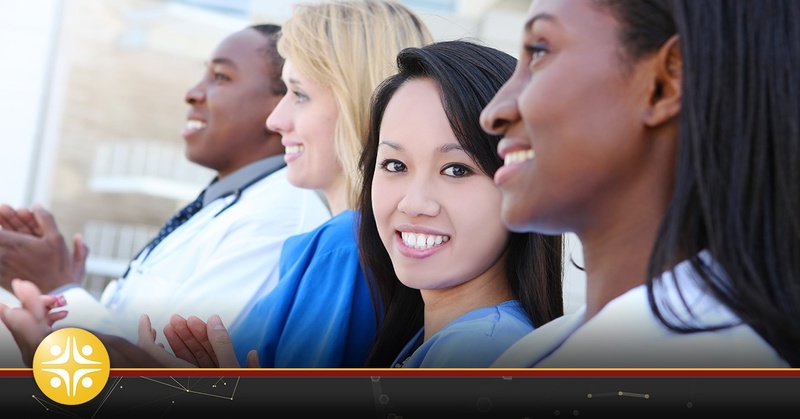 For hospitals and healthcare systems, offering assistance with degrees or certifications can be a valuable asset in their employee retention strategy. For example, for an RN who only holds an associate’s degree, the ability to earn a bachelor’s degree with the assistance of their employer could be a huge benefit for both the RN and the hospital. The RN gets an advanced degree, and the hospital increases the skills base of an existing employee who already has valuable institutional knowledge that would be hard to replace with a new hire. For physicians, allowing and financing the attendance of conferences and short-term rotational experiences at elite, specialized medical institutions can be a huge plus. For example, providing an orthopedic surgeon with the ability to participate in a rotation at an elite trauma unit can be very rewarding for the physician. Work-life balance has become a key theme in today’s employment market, especially in high-stress fields such as healthcare. Hospitals that provide work-life balance services make life easier for their employees and have higher rates of retention and satisfaction. Hospitals and healthcare systems that offer flexible work arrangements not only have more satisfied staff, but also less missed workdays due to illnesses and family obligations. With respect to scheduling, providing part-time employment is a viable option for many hospitals and employees. For staff who prefer full-time hours, allowing both 8- and 12-hour shifts can make planning easier for employees who are juggling family or school commitments. In addition to flexible scheduling, hospitals and healthcare systems that offer services to make the lives of their staff easier, and engenders loyalty, making staff less likely to look for other employment opportunities. For example, employers can offer reduced membership fees at local health clubs and discounted tickets to entertainment venues. Hospitals that want to go the extra mile can also offer concierge programs. These programs allow employees to seek help in arranging services needed for daily life, such as arranging dinner reservations, car repairs, and dry cleaning pick up and delivery. Today’s historic levels of unemployment are affecting businesses in every industry. In the healthcare community, which was already experiencing employment shortages before the low nationwide levels of unemployment, this makes an already existing problem worse. Thus, it is imperative hospitals and healthcare systems ensure their employees are satisfied and stay with the organization for as long as possible. Partner With MedSource Consultants Today! If your hospital or healthcare system is looking to recruit new medical professionals, it is time to turn to the experts at MedSource Consultants. At MedSource Consultants, we provide our clients with top-tier medical talent that will enhance their mission. Contact our leading healthcare recruiters today to learn more!